When using the Feed to Post add-on, the styling of the imported posts, no matter what post type they are imported into (apart from Feed Item), is handled by your theme. 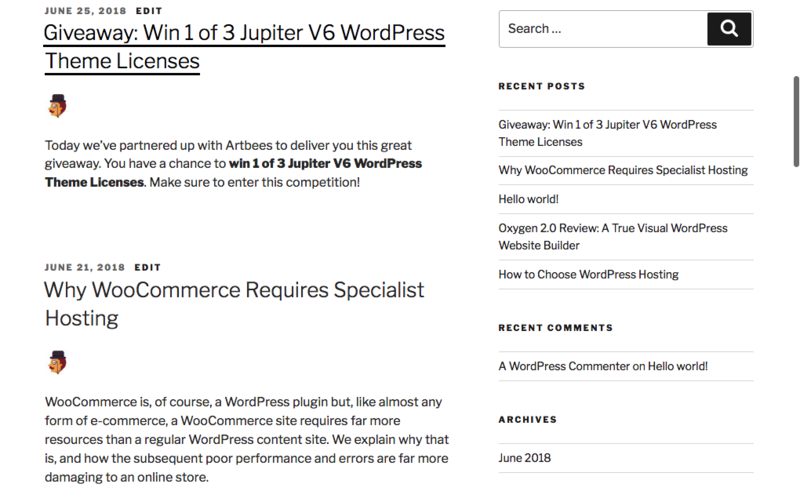 This means that any display options, ranging from showing the author name to displaying posts in a grid-style are all handled by the theme and other plugins, not WP RSS Aggregator. Since you are importing the feed items from the RSS feeds as Posts (or any other custom post type), WP RSS Aggregator automatically surrenders any styling changes and settings to your theme. If you have chosen to import into the default WordPress Posts, these will be visible immediately upon import in your website’s Blog section. If you imported into any other Custom Post Type, these will appear wherever you have them set up to be displayed. IMPORTANT: Please note that the display of custom post types is not something handled by WP RSS Aggregator, and as a consequence, it is not something we can assist you with ourselves. You can find plenty of documentation on how to display custom post types in WordPress, starting with the WordPress Codex. If you use a page or template builder plugin on your site, you can also use these to style the look of the imported posts.